20 May Filed under AC/DC. No comments. 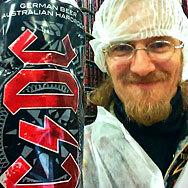 Homecoming of THE AC/DC BEER CAN to the Karlsberg Brewery in Homburg, Germany.